Like the skin and nails, hair is chemically a protein material and there are on average 120,000 hair producing follicles on our scalp. The normal hair growth rate is 1 to 1.5 cms (1/2 to 3/4 inches) monthly, and is slightly faster in women.The presence or absence of hair is a matter of beauty. Loss of hair is termed as ALOPECIA. Excess of hair is termed as HYPERTRICHOSIS; it is named HIRSUTISM when growth follows patterns of adult male. Another problem with which patients come to us is abnormalities of hair shafts. Hair has three main physical layers; the outer cuticle; the cortex, comprising the bulk of the whole structure; and a middle core, the medulla. The cuticle and cortex are affected by physical and chemical change and can undergo temporary or permanent alteration. Common in both sexes, starts at any age. Site: scalp, beard, sometimes-eye lashes, eye brows. Some patients lose all the hair from the scalp- ALOPECIA TOTALIS. hair can be plucked easily & painlessly from the lesion. alopecia preceeded by papules & pustules. hair loss is relentless with the tendency to follow the pattern in the family. FEMALE - androgenic alopecia should be diffrentiated from the other causes of diffuse hair loss like telogen effluvium,& hair loss in endocrine disorders. any constant traction can lead to alopecia. It starts with short broken hair, folliculitis &occasional scarring. TELOGEN EFFLUVIUM : Diffuse hair loss. 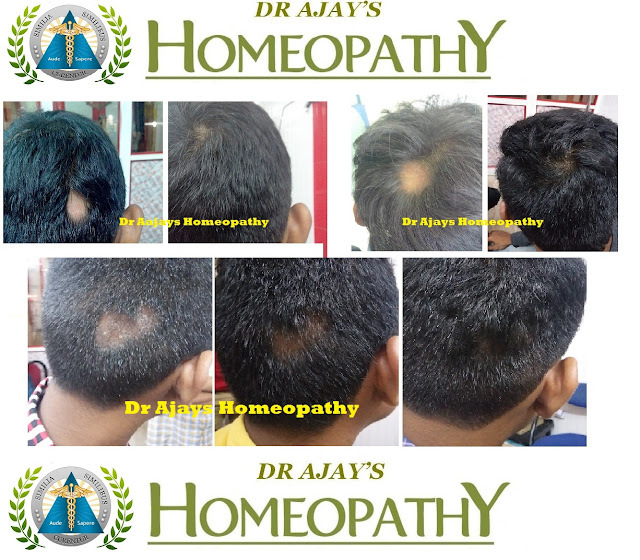 BACTERIAL FOLLICULITIS - small area of non-scarring alopecia. FUNGAL INFECTIONS - non-cicatricial alopecia. DISCOID LUPUS ERYTHEMATOSUS - cicatricial alopecia. It is the presence of terminal hair in women, exhibiting male pattern. 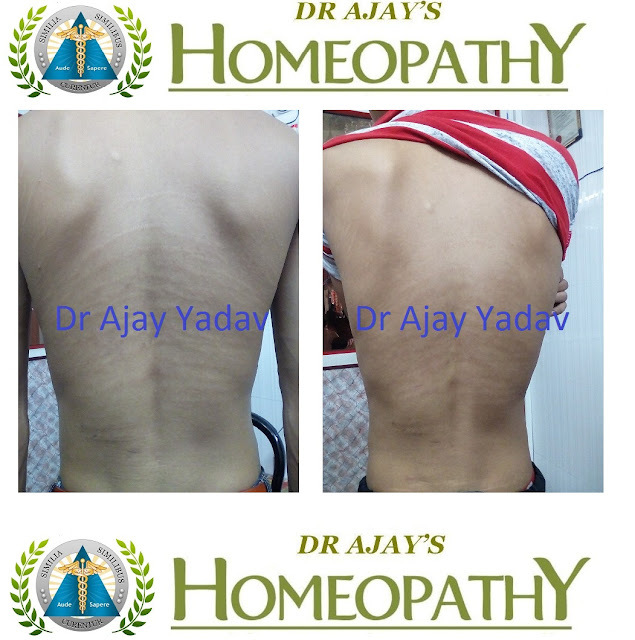 Excess growth of terminal hair in beard, chest, shoulder, periareolar & infraumbilical region. begins at puberty & progresses with age. Investigation: Gynecological evaluations, sonography, hormonal study. It is an excess growth of terminal hair but one which does not follow an androgen induced pattern. Hair becomes dry and brittle when there is a loss of moisture from the fibres within the hair, which usually leads to the hair splitting and breaking. over-use of blow dryers. All of these result in the hair becoming dull, dry and likely to break. It is essential to remember that a change in hair structure will make the hair more vunerable to the daily wear and tear of styling. More than usual care will be needed when shampooing and drying hair which has been subjected to the processes mentioned. Have any chemical processes carried out by your hairdresser: home perming and colouring can end in disaster. Always use a conditioner after washing: concentrate on the ends of the hair as this is where it will be needed most. A wide-toothed comb or a well-designed brush made from natural bristle is less likely to damage the hair. Keep hair spray to a minimum, as it is very drying. Have your hair trimmed regularly, even if you are growing it long. When brushing or combing the hair, do not apply too much tension and avoid brushing or combing the hair when it is wet as this can cause damage. In spite of many claims, there is no remedial benefit to be gained from brushing the hair and scalp regularly. On the contrary, this could adversely affect many scalp conditions and situations of hair loss. Braiding the hair and hairstyles which involve tight pulling of the hair, can cause traction alopecia. The area most commonly affected is around the hairline. This type of hair loss is temporary if the traction is short term but becomes permanent with prolonged trauma. Hair is one of the most vital aspects of our appearance, affecting the way we look and feel, and requires serious attention every day. A great many things in life affect our hair, so it is not surprising that problems are common. Hair loss can cause great distress and effects most of us at some stage in our lives. It can be caused by genetic and non genetic factors, such as hormone imbalances, diabetes, thyroid abnormalities, bacterial infections, anaemia, stress, pregnancy, poor nutrition, fever, chemical damage, use of poor quality hair products, certain hairstyles and using hair styling equipment, e.g. blow dryers and curling tongs. This form of hair loss, which affects women as well as men, is very common. It is an inherited condition and is triggered by androgens (male hormones). The scalp gradually becomes more visible, as hairs become finer and don't grow as long as they used to. Treatment can effectively slow down the rate of hair loss if the condition is treated early, however, for some the best solution is hair root transplantation. This is a hair loss problem, which is often associated with stress. The symptoms are a sudden increase in hair fall, patches of baldness which are smooth to the touch and which may be singular or multiple in numbers with short broken hairs around the patches. Although this disorder can be very alarming, the patches rarely spread to total hair loss (alopecia totalis) and treatment for this problem can be very effective. Treatments are available which speed up the rate at which the new hairs grow back. But perhaps the most effective form of treatment is the use of ultra-violet light therapy. This is used extensively at The Clinic of Trichology with a very high success rate. Approximately 40% of all women experience hair loss after giving birth. This is due to a delay in normal shedding during pregnancy. The hair becomes thicker during pregnancy and excessive shedding is noticed as the hair returns to its normal state afterwards. Normally we shed up to 100 hairs a day. Usually these hairs are replaced and the scalp is covered. Unfortunately, stress can sometimes interfere with hair growth and cause excessive shedding. There are ways to stop this type of hair loss. Depending on the length and severity of the stress, sometimes a simple step like taking B vitamins will help, but more in-depth treatment may be needed. Either way, the cause of the stress should be addressed and panic should be avoided, easy as this is to say, panic in itself can cause stress, which can cause more hairfall. Once the stress is removed the hair usually grows back within a few months. Nutritional origin In cases of malnutrition with the resultant protein-calorie deficiency affect, in the initial stages itself, the structure and colour of the hair. Those who suffer form iron deficiency, there is occasionally a diffuse alopecia noted, in spite of them not being frankly anemic. Zinc deficiency, there is alopecia with a few cutaneous changes seen. This kind of a deficiency (of zinc with essential fatty acids ) especially seen in cases where form prolonged parenteral alimentation, results in erythema, scaling of the scalp and eyebrow, bullae, dry and unruly hair with diffuse alopecia. Topical application of safflower oil tends to reverse this process. Cosmetic alopecia with differences in religion and its customs and with increased awareness of the different styles in fashion and diffrernt hairdressing techniques, there is an increased degree and wide variety of physical stresses that our hair has to go through. Hair tends to get weak by the various chemical application and there is constant wear and tear occurring due to the different styles experimented on the hair, which break off by friction or tension is known to induce follicular inflammatory changes that may eventually cause scarring. ALOPAECIA OR HAIRLOSS On an average hair grows about 13 mm a month. They grow more at night than day and faster in summer than winter. Certain drugs like cytotoxic anti-cancer drugs and strong anti-biotics Hormonal changes esp. during pregnancy and also after leaving the contraceptive pill. Certain chemicals, like those used to purify swimming pools. Wear and tear of over-grooming. Bleaching. Repeated bleaching with hydrogen peroxide can cause split ends Perming and dyeing. Temporary dyes are not as harmful as permanent dyes which can damage the hair shaft. .
Nat.mur - white dandruff, alternating with cattarh or loss of smell. Phosphorus - copious dandruff, falling off of hair in bunches. Itching of scalp. Graphites - dandruff with eczema or other eruptions. Falling of hair. Burning on vertex. Sepia - dandruff in circles, like ring-worm. Moist scalp. Pimples on forehead near hair. Loosing of hair after chronic headache. Sanicula - scaly dandruff over the scalp, eye-brows and other hairy parts. Sepia - falling of hair during menopause and pregnancy. Sulphur - very unruly hair, sandy, harsh, lustreless- growing in every direction. Ustilago m - baldness due to syphilis. hair will fall and will not grow. Wiesbaden - by the use of this remedy the hair will grow rapidly and become darker. Give in 200 dilution. Vinca minor - bald spots with itching of the skin, oozing moisture, matted hair, irresistible desire to scratch. Graphites - bald spots on the sides of the hair. Important remedy for alopecia areata. Ars.alb.- bald spots near the forhead. Dry scales on scalp. Carbo veg - loss of hair from occiput. Phos - loss of hair from forehead. Fluoric acid - baldness in spots. Kali carb - loss of hair from eyebrows. Natrum mur - Grey hair due to exhausting ailments. Thyroidin - Given in 30 dilution for one month thrice daily and there after in 200 dilution every week for one month. Especially adapted to chronic diseases with syphilitic and mercurial history. Mainly adapted to people who are Indifferent towards loved ones and they are unable to realize their responsibility towards everyone; buoyancy. Mentally they are elated and gay. Mainly indicated for Alopecia and hair loss. These people have very superficial relationships with everyone. Bald spots on the head, which are dry and scaly, are characteristic of Phosphorus. Dandruff, roots of hair get gray and the hair comes out in bunches. Graphites cures bald spots on the sides of the head. The head sweats easily. The most important remedy in alopecia areata. Has the symptoms of easy falling out of the hair; it falls out when touched or combed. This is quite frequently seen in nursing home. Carbo vegetabilis has falling of hair after parturition or severe illness. Sepia has losing of hair after chronic headaches. A melancholic, low spirited condition should be present with this remedy. Worry, depression, or anger may occur, especially when these people feel they have made a mistake or failed in some way. A general tendency to feel worse at night and a strong desire for alcohol, sweets, bread, and pastries are other indications for Aurum. Falling of hair from general debility. Fluoric acid. Falling of hair from syphilis. As near specific as is possible. Arsenicum. Bald spots near the forehead; the scalp is covered with dry scales. Vinca minor. Falling of the hair with great itching of the scalp. This drug is frequently prescribed for complaint of alopecia. Mainly indicated in nervous and angry disposition. They are usually harsh on inferiors and express all their anger in home and are well outside. They usually have digestion problems with other complaints. All the complaints are better by warm applications. In skin complaints the discharges are offensive. Dandruff (seborrhœa) -- Arn. m., Ars., Bar. c., Branca, Bry., Fluor. act., Graph., Hep., Heracl., Iod., Kali s., Lyc., Nat. m., Phos., Sanic., Sep., Sul., Sul. iod., Thuya. Eruptions Boils -- Anac., Ant. t., Aur., Calc. mur., Calc. s., Dulc., Hep., Jugl. r., Scrophul., Sil. Crusta lactea -- Arct. l., Asatacus, Bar. c., Calc. c., Calc. iod., Calc. s., Cic., Clem., Dulc., Graph., Hep., Kali m., Lyc., Merc., Mez., Oleand., Petrol., Psor., Rhus t., Sars., Scrophul., Sep., Sil., Sul., Trifol., Vinca m., Viola tr. Eczema -- Arct. l., Astac., Calc. c., Clem., Graph., Hydr., Lyc., Mez., Oleand., Petrol., Psor., Selen., Sul., Tellur., viola od. Erysipelas -- Bell., Euphorb., Rhus t.
Favus (porrigo, scald head) -- Æthiops., Ars., Ars. iod., Calc. c., Calc. iod., Calc. mur., Calc. s., Dulc., Ferr. iod., Graph., Hep., Jugl. r., Kali s., Nit. act., Sep., Sil., Sul., Viola tr. Growths, tumors, exostoses -- Ananth., Aur. m., Calc. fl., Cupr. m., Fluor. ac., Hekla, Kali iod., Merc. phos., Merc., Sil., Still. Herpes -- Ananth., Chrys., Nat. m., Oleand., Rhus t.
Itching eruptions -- Clem., Oleand., Sil., Staph., Sul. Moist, humid eruptions -- Calc. s., Clem., Graph., Hep., Lyc., Merc., Mez., Oleand., Petrol., Psor., Rhus t., Sep., Sil., Staph., Vinca. Ears, behind -- Graph., Lyc., Oleand., Petrol., Staph., Thlaspi, Tub. Margin of hair, nape of neck -- Clem., Hydr., Nat. m., Oleand., Sul. Plica Polonica -- Ant. t., Bar. c., Bor., Graph., Lyc., Nat. m., Psor., Sars., Tub., Vinca, Viola tr. Pustules -- Arundo, Cic., Clem., Graph., iris, Jugl. c. Mez. Ringworm (tinea capitis) (See Skin.) -- Ars., Bac., Bar. m., Calc. c., Chrys., Dulc., Graph., Kali s., Mez., Petrol., Psor., Sep., Sil., Sul., Tellur., Tub., Viola tr. Scabs, crusts -- Ant. c., Ars., Calc. s., Cic., Dulc., Graph., Hep., Lyc., Mez., Sul., Trifol. Scales, dry -- Ars., Kali s., Mez., Nat. m., Phos., Phyt., Psor., Sanic., Thlaspi. Wens -- Bar. c., Benz. ac., Graph., Hep., Kali iod., Nit. ac., Phyt. Hair Brittle, harsh, dry -- Bad., Bell., Bor., Graph., Kali c., Plumb. m., Psor., Sec., Staph., Thuya. Falling out (alopecia) -- Alum., Ant. c., Ars., Arundo, Aur., Bac., Bar. c., Calc. c., Calc. iod., Carbo v., Chrysar., Fluor. ac., Graph., Hyper., Kali c., Lyc., Mancin., Mez., Nat. m., Nit. ac., Petrol., Phos. ac., Phos., Pix liq., Selen., Sep., Sil., Strych. ars., Syph., Thallium, Thuya, Thyr., Sphingur., Vinca, Zinc. m.
Greasy -- Benz. nit., Bry., Merc. Gray, premature -- Lyc., Phos. ac., Sec., Sul. ac. Tangled, in bunches -- Bor., Fluor. act., Lyc., Psor., Tub., Vinca. Itching of scalp -- Alum., Ant. c., Ars., Arundo, Bov., Calc. c., Carbo v., Clem., Graph., Heracl., Iodof., Jugl. r., Mag. c., Mancin., Menisp., Nit. act., Oleand., Phos., Sep., Sil., Strych., Sul., Tellur., Vinca. Neuralgia -- Acon., Cim., Hydr., Phyt. Numbness -- Acon., Alum., Ferr. br., Graph., Petrol. Sensitive to touch, combing -- Acon., Apis, Arn., Ars., Azar., Bell., Bov., Bry., Carbo v., Caust., Cinch., Euonym., Eup. perf., Gels., Hep., Kali bich., Lachnanth., Meli., Merc., Nat. m., Nit. ac., Nux m., Nux v., Oleand., Paris, Rhus r., Sep., Sil., Strych., Sul. Sweat -- Calc. c., Calc. p., Cham., Graph., Helleb., Hep., Heracl., Hyper., Mag. m., Merc., Pod., Rheum., Sanic., Sil Tension -- Acon., Arn., Asar., Bapt., Canchal., Caust., Iris, Merc., Paris, Ratanh., Selen., Sticta, Viola. Recognize signs of stress and identify the causes. At work reduce stress by learning to avoid long hours, not accepting unrealistic demands, setting realistic goals, accepting changes optimistically and not taking work related problems home. At home air your grievances, share your problems and regular weekend breaks with the family. Avoid using dyes, bleaching and perming hair. Avoid washing your hair too frequently. To avoid split ends snip off the ends cleanly every 2 weeks. Otherwise the split may travel backwards to the root. Avoid tight hair styles or elastic hair bands. Do not use heated, spiked rollers frequently and never hold the hair dryer too close to the scalp. (atleast 15 cms away) Never use sharp combs or brushes.